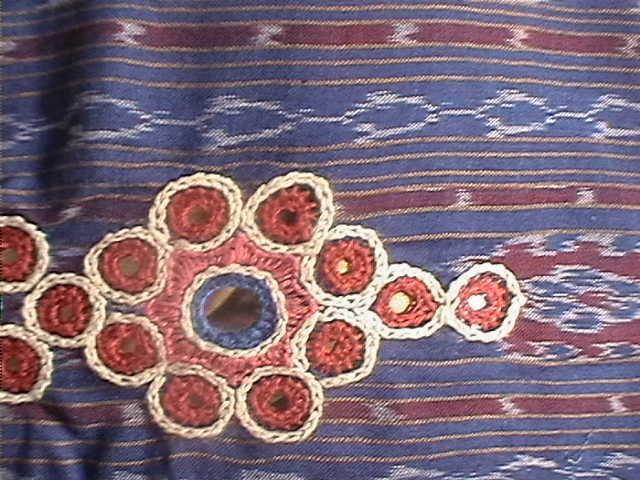 Earlier I had posted details on mirror work yoke.That yoke was done long time ago.I decided to use just the yoke for another tunic. 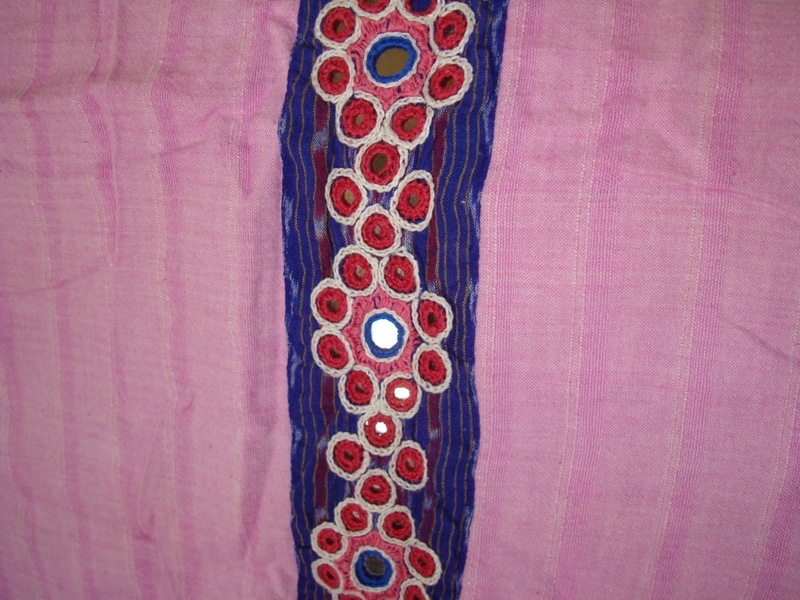 Tha fabric of this tunic of again handloom cotton, with a striped pattern. 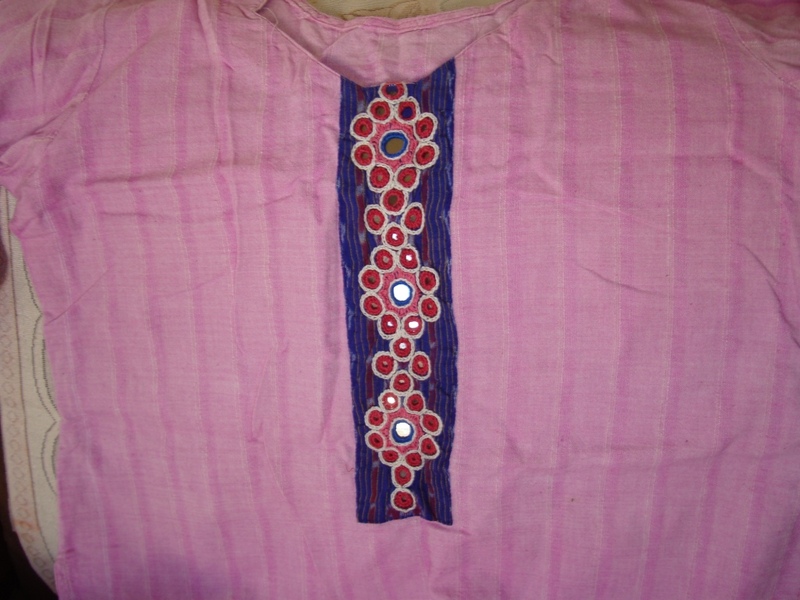 Since, I had already posted the details of the embroidery here.